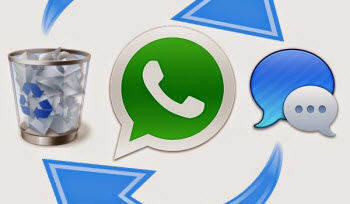 WhatsApp Messenger is an instant cross-platform mobile messaging app which allows you to exchange messages communicating through text, voice, and images over Wi-Fi or cellular networks for free. More and more people prefer to use WhatsApp to chat with families, friends, and workmates. However, problems also exist. For example, users may tap on the wrong option, all WhatsApp chat history is gone. So how to retrieve WhatsApp messages for iPhone 7/7 Plus? Let's check below tips, this guide will show you three ways via Tenorshare iPhone Data Recovery to recover iPhone WhatsApp messages. 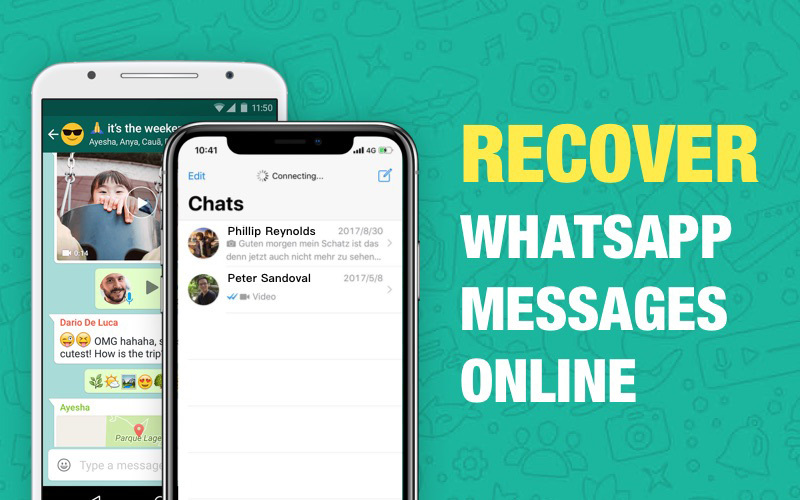 To get started, please download and install the WhatsApp chats recovery program—iPhone Data Recovery to your computer. With this easy-to-use data recovery software, you can how to retrieve WhatsApp chat, contacts, videos, photos and more on iPhone 7/7 Plus without quality loss. Step 1: Launch Tenorshare iPhone Data Recovery on your PC, and connect your iPhone to PC via USB cable. Step 2: Click " Start Scan" and the software will scan your device for lost or deleted files. When it is done, you will see the list of all files. Step 3: Choose the notes you want to recover and click "Recover" to start to recover lost/deleted files. Then choose a path to save the recovered files. Step 1: Launch Tenorshare iPhone Data Recovery tool after installing, switch to "Recover Data from iTunes backup". It will list all iTunes backup files on your PC. Check your iPhone backup file and click "Scan" button. Step 2: On the left window, select "WhatsApp messages" and you can preview all your files. Check them and click "Recover" to save them on your PC. Step 1: Run Tenorshare iPhone Data Recovery tool after installing, switch to "Recover Data from iCloud backup". Sign in iCloud with your Apple ID and password. Step 2: You will see the backup files are listed in your account. Select one backup from the list and click "Next" to start downloading your iCloud backup. Step 3: Once scanning completed, select WhatsApp messages you'd like to recover, then click "Recover" to save them on your PC. In this article, 3 simple ways on how to restore lost/disappeared iPhone 7/7 plus messages are shared. In just a few flicks, those deleted or lost notes could suddenly be found. Do not hesitate to give Tenorshare iPhone Data Recovery a free download and try!